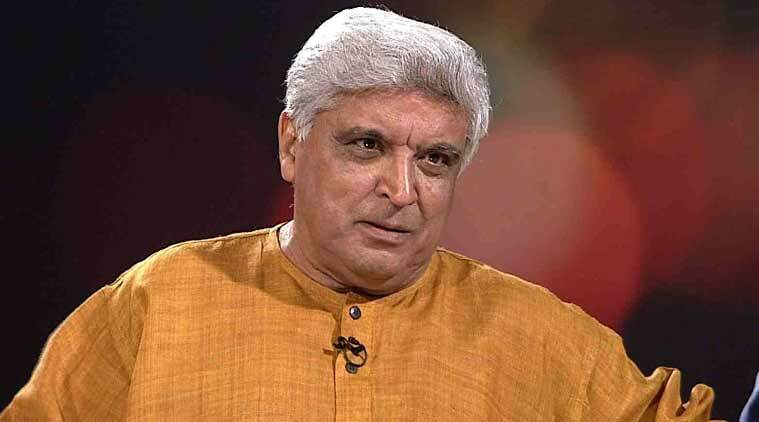 Javed Akhtar Slams Twitterati For Asking How Can Aamir Play The Role Of Hindu Lord Krishna! Aamir Khan is the perfectionist of the Bollywood Industry and this superstar is currently busy with his movie Thugs of Hindusthan. He’s sharing screen space with Katrina Kaif who is playing the role of a warrior princess and Amitabh Bachchan who is playing the role of his father and also Fathima Sana Shaikh. Since then Twitterati has been questioning him and a guy called Francois Gautier (@fgautier26) asked that how can Aamir an Islamic follower play the role of Epic Hindu god, Lord Krishna? 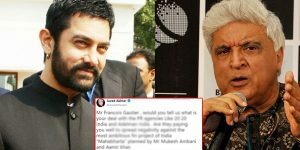 Though Aamir didn’t reply to the tweet Javed Akhtar slammed the person for his tweet and asked which agency paid him money for ruining the peace of the country. One more user asked Javed to have a comedy scene on Allah referring to the scene in Aamir’s PK movie. If your ideals are Isis Talibans and fanatic Mullas I can only feel sorry for you . It is being rumored that Mukesh Ambani will be co-producing Aamir Khan’s dream project Mahabharata. Read >>This Is The Reason Why Aamir Khan Doesn’t Charge For His Movies! !